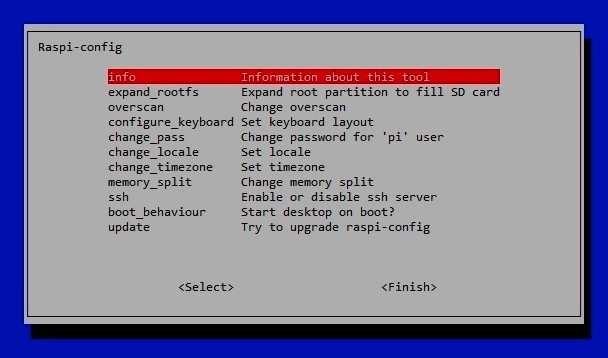 If, like me, you’re a complete novice to the pi, simply use arrow keys to move down to ‘finish’ and press enter (the mouse doesn’t work in menuconfig). Unless you have changed it, the default username is pi and the password is raspberry – when you type in the password, nothing appears on the screen and this can be unnerving for first time users – fear not, it’s perfectly normal. You’ll now be presented with the command line (I have only just discovered that code can be typed directly into the command line, without booting up the operating system). The command line is usually a black screen with white writing and, in the case of the Pi, a green cursor marker or some green text. If you know a bit of Python, or you’ve downloaded an OCR card such as the Singing Jelly Baby and want to just make the Pi DO something, you can start typing in code here, but it is more common to head into the graphical operating system, Raspian, by typing in ‘startx’ and hitting enter. If you have bought an SD card which comes with a pre setup operating system, you may not have the latest versions of some software, but fortunately it is fairly easy to get things sorted out. 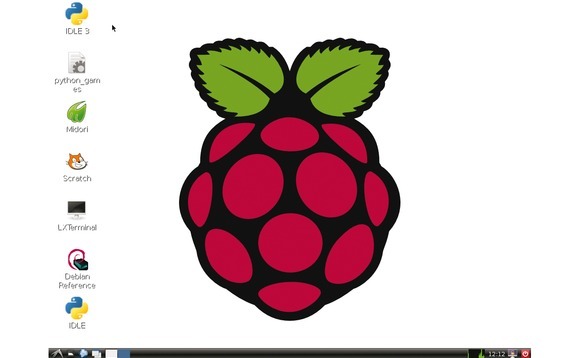 This should install Sonic Pi on your Raspberry Pi – cool huh? One of the joys of the Raspberry Pi is that it took me around 30 seconds of searching the internet to find the information to install both of those applications – the Pi community is large, friendly and eager to share. You will find that any problems you have are quickly dealt with by helpful users so don’t be afraid to ask. and this will power down your Pi – try not to just unplug it as this can corrupt it!